My name is Jim Mergiotti and I have the honor of representing Peirce College, one of Fred's alma maters … actually his best alma mater. On behalf of the entire Peirce College community I offer heartfelt condolences today to Fred's family and friends. Fred graduated from Peirce in 1964, served on its alumni board in the 1970s, and held a position on its board of trustees since 1999. He was chairman of the College's Institutional Advancement Committee and a member of its Executive Committee. Fred always said that his Peirce education gave him the basics he needed to earn a living and make a social contribution. He always referred fondly to his first professional job at Auerbach Associates, where he was placed by Peirce while still a student and remained for several years after he graduated. Fred truly loved Peirce and Peirce loved him back. He represented the College so well, both as an alumnus and trustee. He made the College community extremely proud. He not only did so with his extraordinarily successful business career, but, most importantly, with his leadership in professional organizations and in public service. Those of us who had the opportunity to work closely with Fred for many years in support of Peirce's mission admired him greatly. We knew him as a man of great insight and intelligence who was always thoughtful, warm, and caring. The word I most often heard from members of the Peirce community when describing Fred was "classy." And he sure was. Everything he did, he did smartly, and with dignity and style. He was an exceptional board member who truly understood and exercised good stewardship in his role. Peirce could not have been more fortunate than to have Fred Price as an alumnus, trustee, and friend. He was very grateful for his Peirce experience and very generous with his time, talent, and treasure. His contributions will continue to have a very positive impact on Peirce students for many years to come. Today, as we pay tribute to him and celebrate his life, we are reminded of and thankful for his leadership, wisdom, and counsel. There is no better legacy than the one he left at Peirce. His life made the lives of others better. Hundreds of people attended Fred's service and many, in their reflections, spoke of the positive effect he had on them. 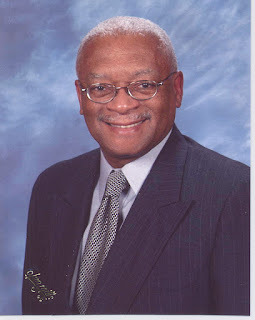 He touched many lives through his professional life, community, and church affiliations. He will always be remembered fondly by those of us who knew him and worked closely with him. Fred Price was a true friend and a great human being.